San Giovanni Battista (St. John Baptist) is, together with Sant’Antonio Abate (St. Anthony the Abbot), the most important religious figure in Sardinia. The Sardinian villages in which a church is dedicated to the Saint are countless, and most of them, on the 24th of June, celebrate his birthday with a feast. What is interesting about the feast of San Giovanni is the fact that its origin goes back to a much earlier period than the Christian event. Ancient peoples used to celebrate the summer solstice and the beginning of summer on the eve of the 24th, a date to which they used to attribute magic powers. In fact, there was a variety of rituals of pagan origin that were meant to work only if executed after the midnight of the 24th of June, when the moon marries the sun and all the elements of Earth line up to create miracles. Three are the symbols of this magic: fire, water and herbs. Fire is the protagonist of the Focs de Sant Joan de l’Alguer Festival in Alghero, in the northwest of Sardinia. 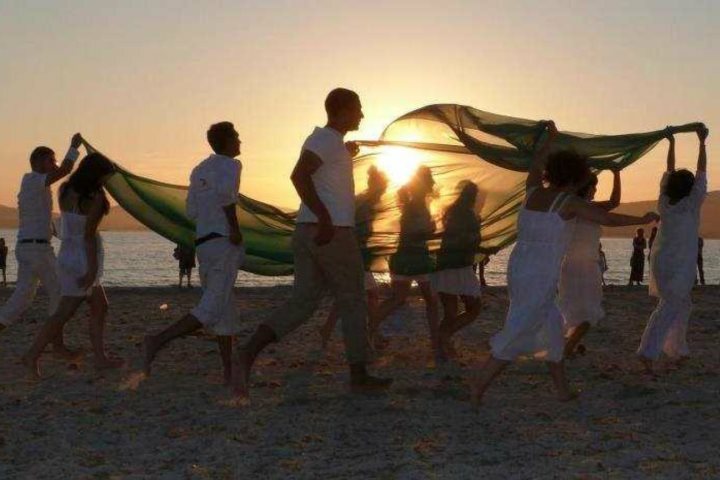 During the evening of the 23rd of June, in the evocative setting of San Giovanni beach, the participants dress in white and experience the thrill of these ancient traditions. An archaic ritual connected with San Giovanni Battista feast consists of lighting bonfires and jumping over them alone or with a friend. If you make a wish that is as intense and pure as possible while you jump over the fire, it is believed that it will come true. If, instead, you want to seal a friendship, you have to take your friend by the hand and jump together, reciting in unison auspices and wishes: the purifying power of fire will make you friends for life, or more precisely comare and compare. Water magical powers manifest through dewdrops; Sardinian people used to walk barefoot to ward off evil. In Bono, a little village in the north of the island, during the ritual called de sas funtanas (literally “of the fountains”), women collect water from the seven springs of the village after midnight and then walk in procession three times around the church. This water is believed to have miraculous powers. Another ritual that involves water is the molten lead divination. This was a ceremony in which, after having molten lead, marriageable girls used to pour it into a bucket filled with cold water. Cooling, the lead took shapes and forms that these young women interpreted as predictions about the job of their future husband. A display of this ancient ritual can be seen at the Focs de Sant Joan Festival in Alghero. June is the month in which local vegetation reaches its peak splendour. A lot of plants are associated with San Giovanni Battista’s feast and its magical powers. On the night between the 23rd and the 24th of June, in many villages, people used to pick the Sardinian wild thistle, which was stored and used for the protection of fresh meat from flies during the year. In Fonni, in the centre of Sardinia, people used to collect branches of elder, believed to possess miraculous powers, to scatter these leaves and flowers along the route of the procession. In the past, a star-shaped amulet was made from these branches and applied under the horse's mane to preserve it from the evil eye. In this village, the period around San Giovanni and everything related to it takes the attribute of de vrores (literally “of flowers”), an additional testimony of the importance of the role of vegetation in all the beliefs and rituals off those days. It is in Fonni that we find, what in my opinion. is the most fascinating product of all these superstitions. St. John Baptist is the patron of the town, and the inhabitants have celebrated his birthday for 500 years. 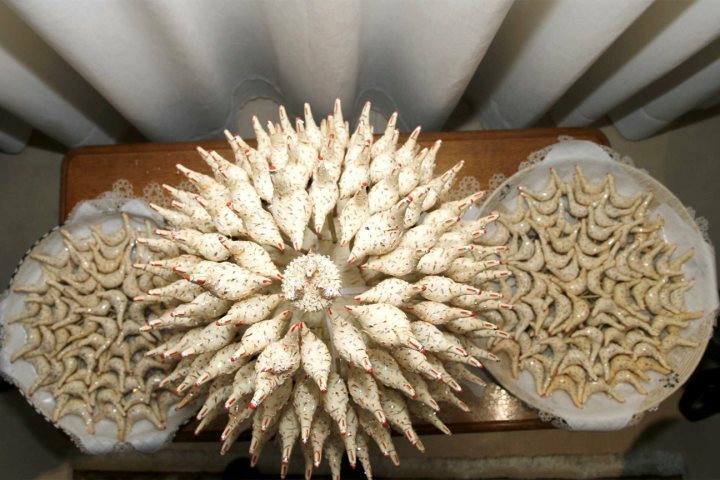 The symbol of this feast is su Co’one ‘e Vrores (bread of flowers), a votive bread ordered by the prior and carried in a procession with the saint. The origins and meaning of this rite are shrouded in mystery, but the most popular story of the modern day talks about the invasion of grasshoppers that in 1865 destroyed wheat and barley. People asked for the intercession of the patron saint, St. John the Baptist, but it did not produce the desired effects. The farmers decided to call Predi Murru, a priest with a great reputation as a maiargiu (magician). Informed of the situation, the religious went to bless the country campaigns, but the rite produced an unexpected effect; the locusts were gone, but also starlings, thrushes and snow peas had disappeared. Luckily cuckoos survived, and remained to sit on other birds’ eggs in a large nest. When the first egg hatched, the little bird rested on the back of the cuckoo. Later the other eggs hatched and the countryside was repopulated again with birds of many species. Since that day, every year the farmers prepared the votive bread in memory of the nest that gave back life to birds and flowed into the fields. The bread is made by an artisan, the only one left to guard this ancient art, Anna Coinu. 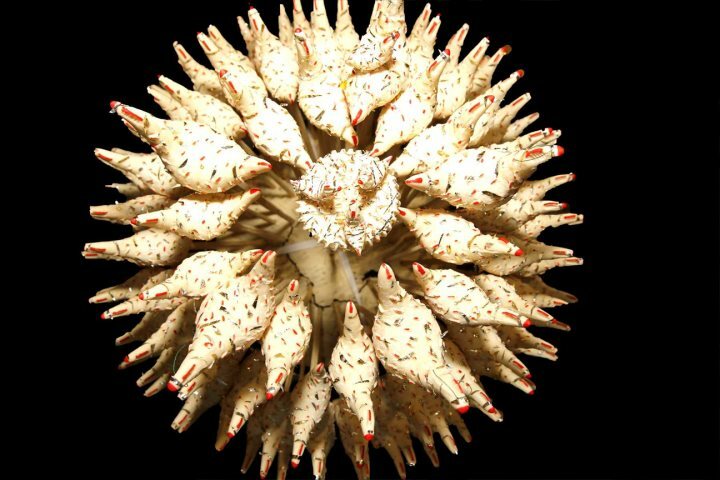 It is a round bread mounted on a wooden support and on which there are threaded the cane sticks that hold 160 pugiones (birds) and five puddas (hens), the latter in representation of the cuckoos. At the centre of the composition is the nest decorated with faux grains and with three pugioneddos (little birds). Around the nest, there are four puddas, one of which carries on its back a pugioneddu. Nowadays some of the ancient rituals we mentioned have fallen into disuse, but most of the villages still organise a feast in honour of the saint. The celebrations usually include a solemn procession where men and women wear traditional costumes, and the event, over the last years, has started to involve other village’s folk groups. The result is a stunning parade of the brightest colours of Sardinian tradition, which usually terminates in a ball with the soundtrack of Ballo Sardo. The role of horses in these events is really important. In Bonorva, after the religious celebrations, the village organizes s’Ardia, a horse race attended by a big number of riders. 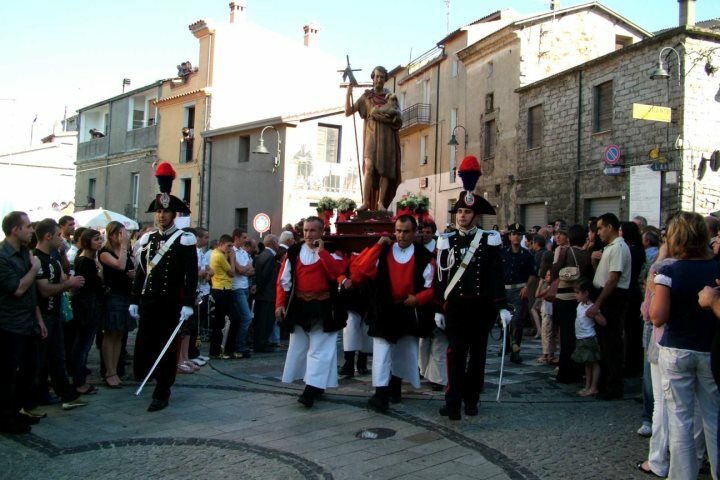 In Fonni, after the procession, Sa Arrela ‘e Vrores takes place. 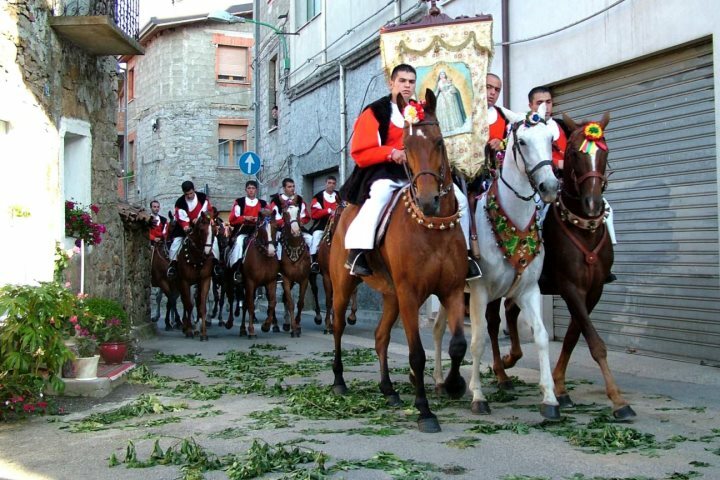 All riders participate in the horse race that features the patron saint festivities. 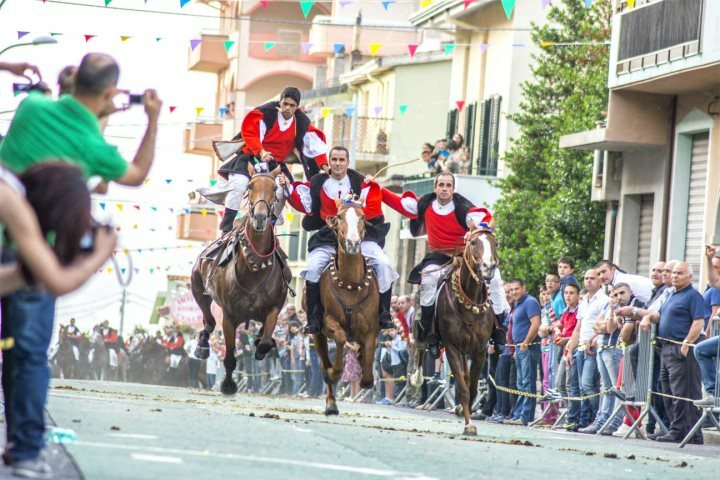 The riders compete in skills and acrobatics, in pairs or in groups of three, standing on the horse's rump, before the crowd that populate the town's streets. This race, which has remained unchanged over time, is still a major event today to all young shepherds of the country. In the past, the servant shepherds at the time of signing the annual contract used to insert the clause that sa die de vrores (San Giovanni’s day) the landlord would have guaranteed them the availability of a horse to participate in sa arrela. 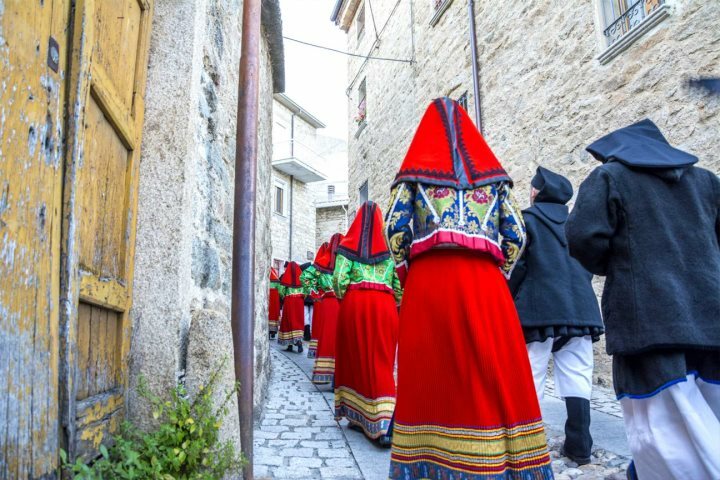 It doesn’t matter where you are in Sardinia: on the 24th of June you will certainly find one of the villages that celebrates this event not far from you! 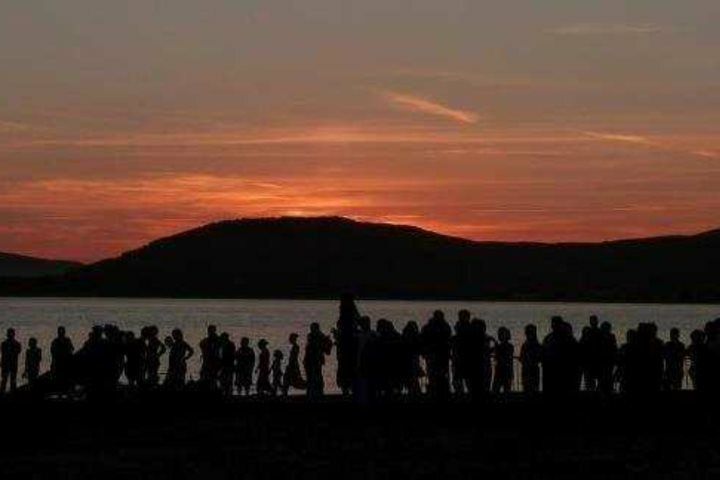 Get involved in the magic atmosphere of the summer solstice in the wonderful setting of Sardinia island. Would you like to find out more about the various festivals and events which take place in Sardinia? Check out our Festivals and Events page in our informative guide.